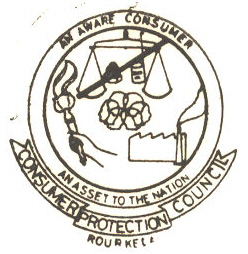 Consumer Protection Council, Rourkela- Serving the consumers for 33 yrs. 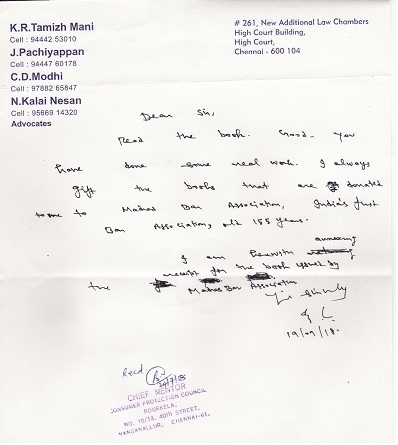 Sr. Advocate Tamizh Mani appreciates the real work done !! The Indian Consumer Movement which had a phenomenal launch after the enactment of the landmark Consumer Protection Act, in 1986, is literally in the doldrums now. The indifferent actions of the government has led to dismal performance of the consumer courts and dispirited consumer groups, which were earlier being given a prime place in the consultation process. Consumer activist B. Vaidyanathan has published an insightful book ‘An Aware Consumer’. The book throws light on various initiatives taken by him in order to protect the rights of the consumers. B.Vaidyanathan, Chief Mentor, Consumer Protection Council (CPC), Rourkela, has been associated with the Indian consumer movement, for well over 30 years and has many achievements to his credit, apart from organising a voluntary consumer organisation in the tribal belt of Odisha. In this book, he has written about several campaigns led by him in order to bring awareness about consumer rights and the landmark Consumer Protection Act. Some of his major initiatives which fructified, through CPC, Rourkela, include establishing a separate District Forum for Rourkela, the second in the district, (Sundergarh is one of the few districts in the country wherein two forums are functioning to cater to the aggrieved consumers), relocating the Doordarshan TV transmitter to Durgapur hills, refunding of the booking advance to those affected by M/s LML and M/s APSL, re-routing of the Alleppey-Bokaro express via Chennai Central, restoration of the AC Chair Car in the Ispat Express, restoration of Home Delivery of cooking gas refills, upgradation of 184 LPG bottling plants of the 3 Oil Marketing Companies (IOCL, BPCL and HPCL), to effectively solve the issue of short-filling of the refills, which affected crores of unsuspecting housewives across the country, etc. One could understand the concern relating to the evolution and distorted growth of the consumer movement in this country. In this book, he has strongly conveyed that the benefits of the statutes enacted by the Parliament should not be allowed to go waste. It is his message that the Government, Judiciary, Media and the People will have to play their roles effectively, for a better tomorrow. An important consultative body like the Central Consumer Protection Council, the backbone on which the consumer movement got such a fillip in the 90s, has been made dormant by those in the power in 2006, by surreptitiously amending the Consumer Protection Rules, has been recorded in the memoirs in unequivocal terms. Similarly, Mr. Vaidyanathan has not taken lightly, the lop-sided handling of the LPG under-weighment case by the Supreme Court, in 2012, practically denying the mandate of the Consumer Protection Act, to the litigant Consumer Protection Council, Rourkela. The details shared in the book in respect of this case are indeed alarming and should make all those vouching for the rule of law, to hang their head in shame. Published by Notion Press, the book is currently available on well-known ecommerce sites and bookstores. Discerning consumers should not miss out reading this book, as it narrates a number of Public Interest cases, behavior of the courts and the role of important consultative bodies such as the Central Consumer Protection Council. An Aware Consumer, is available online at Notion Press bookstore, Flipkart, Shopclues, Infibeam, Amazon, for readers from India. Internationally, it can be obtained through www.amazon.com and www.amazon.co.uk. The e-Book is available through Amazon Kindle, Kobo, Google play, Rockstand, and iBooks. Supreme and fallible - Right to blunder? Boot out the MNCs – How dare they do business in India!! Arnab, et al! There are many more vital things other than Sushma bashing – "Jago Grahak Jago"
Some suggestions to Chief Justice of India - Is it that the Laws & Rules need to remain only on paper? In India, consumers have been at the receiving end since long. One thought that things will change for the better after the Consumer Protection Act was enacted in 1986 and a structured approach was adopted to promote and safeguard the interests of the consumers. But after 2004, things have gone from bad to worse. Commencing from the castration of the Central Consumer Protection Council, the relevance of the consumer Act itself has been brought into question. If the government is found wanting and none too serious to strengthen this voluntary initiative of the individuals to do their bit for a healthy society, which in any case is bound to benefit the industry, its competitiveness and the country as a whole, myopic approach only appear to rule the roost, as on date. Important amendments which were brought in 2003 to the Consumer Protection Act, with a clear objective of penalising Unfair Trade Practices and to compensate the consumer/litigant adequately have been frustrated by the indifferent approach of the National Commission as well as the Supreme Court. That is why, giving the benefit of doubt to the bench which did not do justice to the issues placed before it by Consumer Protection Council, Rourkela, and to take the issues pursued by it to the logical end, Curative Petition was filed. The GROUNDS categorically illustrate the denial of “Natural Justice” to the Petitioner Council and the failure of the Court in addressing the issues raised in the “Appeal”. Rupa Ashok Hurra case specifically has laid “Violation of Principles of Natural justice” as the valid ground for considering a Curative Petition. Question is whether a narrow view of non-issue of notice alone should be taken as the requisite ground for allowing the Appeal or blatant denial to consider the Grounds of Appeal by the concerned bench should be treated alike, in the larger interests of justice? If this anomaly is not addressed, Curative Petitions will only be found useful when the media start highlighting an issue, like the LGBT case – leading to the strength of the population deciding the outcome of the Curative Petition. This does not augur well for a civilized democratic country. Learned ex-Justice of Gujarat & Rajasthan High Courts, Sri M.R.Calla, and designated Sr. Advocate of the Supreme Court had unequivocally advocated for allowing the Curative Petition of the Council, pointing out the gross miscarriage of justice and denial of natural justice. But that has not appealed to the Supreme Court bench headed by the CJI, who have dismissed the Curative Petition, as per the Order made available on the internet today. Something needs to be done to address and to save the people from this hyper-technical approach of the Supreme Court and to promote the consumer movement, which is after all in the best interests of the nation. Will Shri Narendra Modi and his government do something to stem this rot? How can the Supreme Court pass an irrelevant order? Chief Mentor seeks donations for taking the LPG gas case to its logical end. Remedial action against short filling of LPG in cooking gas refills; of the 184 LPG Bottling Plants, of the three Oil Marketing Companies (IOC, BP & HP), only 4 remain to be automated. Even these will be modernised within the next financial year 2013-14). The quantified loss of nearly Rs. 750 crores per year to the consumers across the country has been taken care by this upgradation. Thanks to the Council's Original Petition initiatied in 2001, before the National Consumer Disputes Redressal Commission (NCDRC). Won an important case against the Rourkela Development Authority and secured financial relief for a group of individuals, against violation of Plan & Specifications in the construction of the houses and delay in handing over the possession. Refunding of booking advance by M/s APSL and M/s LML; and many more. It will not be an exaggeration to add that its activities have added to the confidence of the Rourkela population, against unethical business practices. The fifth Voluntary Consumer Organisation in the country to have set up a Consumer Information Centre, with the support of Ministry of Consumer Affairs and Public Distribution, Govt. of India. Has earned a niche for creating consumer awareness and handling of individual as well as group/class grievances. It is bringing out an English monthly Advantage Consumer, to educate the consumers. It is represented in various Advisory bodies. Through this site effort will be made to disseminate all relevant information and answers to many of the queries which are frequently asked. Knowledge is power and ignorance is the root cause of all exploitation. As a consumer, we hope you will find the site quite useful. Since ours is a voluntary organisation with meagre resources we have designed the site on our own and are sure there will be lot of scope to improve. As such we invite the public and the visitors to this site to communicate their valuable feedback, so that we may improve the contents of this site. Lots & Lots of information in store for you to tap, in the Information Section. Why wait to click on Information. If you are keen to support the Council, you may send in your donations through crossed Cheques/Demand Drafts, drawn in favour of "Consumer Protection Council, Rourkela". All donations to the Council are exempted under sec. 80G of the Income Tax Act. The Council is also registered under the FCRA (Foreign Contribution Regulation Act). Read Advantage Consumer, monthly newsletter of Consumer Protection Council, Rourkela.